Steve Needs a Double-Lung Transplant! 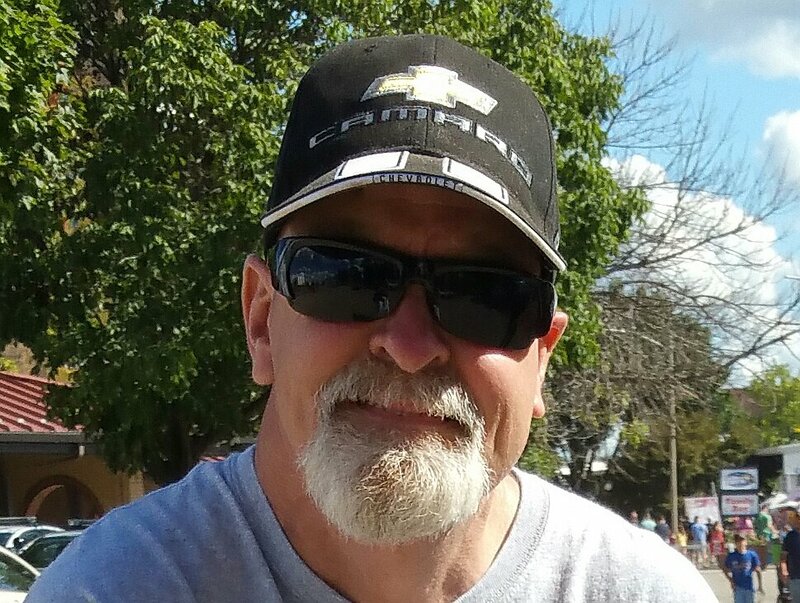 Steve Mowrey is only 53 years-old and fighting for his life. Three years ago, he was diagnosed with a progressive form of pulmonary fibrosis, a condition that causes scarring in the lungs and usually develops without an identifiable cause. Symptoms include shortness of breath, coughing and many patients often need a lung transplant over time. Steve’s condition has progressed over the years and he now uses around-the-clock oxygen to breathe and his pulmonologist has indicated that he desperately needs a lifesaving lung transplant to survive. Steve has found his quality of life is completely taken hostage by the progressive and life-threatening nature of his lung condition. Being a non-smoker and diagnosed completely off guard, Steve is frustrated but anxiously looking forward to his new lungs so he can once again enjoy his life! 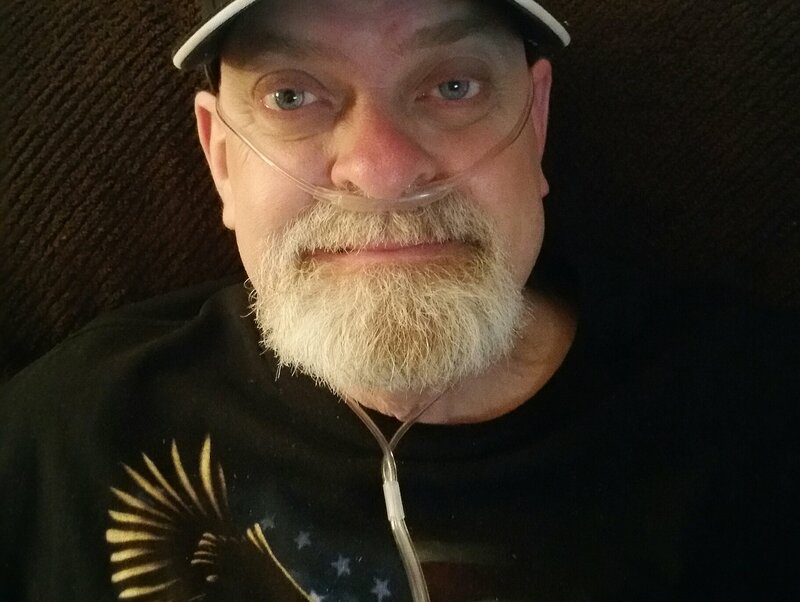 Steve has an incredible sense of determination and optimism, and despite needing around-the-clock supplemental oxygen and facing severe fatigue, he continues to work at his job while waiting for a lung transplant. After undergoing extensive medical testing and evaluation to be accepted as a transplant candidate at Barnes Jewish Hospital, Steve and his girlfriend are hopeful for his future. He wants nothing less than to regain the adventurous, fun-loving life he has known; attending NASCAR races, Royals games, enjoying country music concerts, road trips on his Harley Davidson, and spending time with his eleven-year-old son. A lung transplant is lifesaving, but often comes with a hefty price tag creating a very heavy financial burden. Even with health insurance, Steve faces very high out-of-pocket expenses that include co-pays and deductibles, lab fees, travel and lodging, and costly relocation expenses for at least three months to be closer to Barnes Hospital. Steve will also face high insurance deductibles, caregiver fees, and costly post-transplant medications to halt rejection that are needed for the rest of his life. To help with the financial burden of Steve’s uninsured expenses, a fundraising campaign in his honor has been established with Help Hope Live, a trusted non-profit organization that has been providing community-based fundraising guidance to patients and their families for more than 30 years. All donations are tax deductible to the full extent allowed by law, are held by Help Hope Live in the Midwest/West Lung Transplant Fund, and are administered by Help Hope Live for transplant-related expenses only. Steve has chosen to fundraise with Help Hope Live in part because Help Hope Live assures fiscal accountability of funds raised and tax deductibility for donors. Donors can be sure that funds donated will be used only to pay or reimburse medically-related expenses. To make a donation to this fundraising campaign, please click on the yellow DONATE NOW button. For more information, please contact Help Hope Live at 800.642.8399. If we all work together we can make Steve’s prospects for the future much brighter. Please know that your contribution counts. Thank you in advance for your prayers, support and generosity. 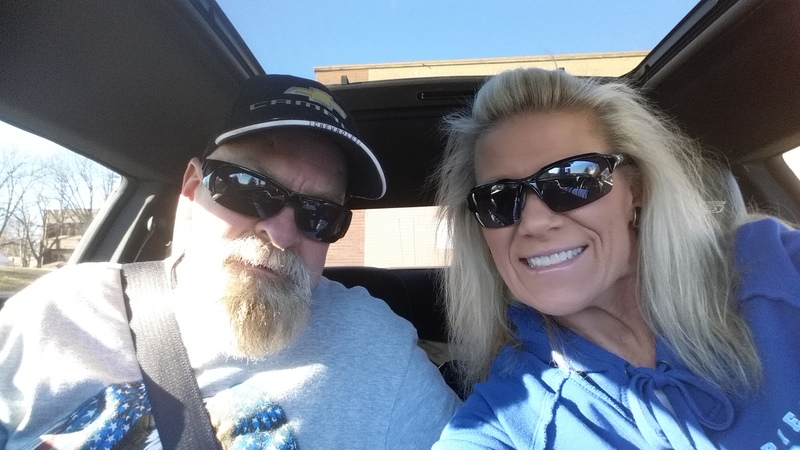 12 WEEKS after surgery…Steve was released to GO HOME! :)♡♡—Saturday, September 3rd…we finally got to leave St. Louis and go back home to KC! Steve’s recovery has gone so well since his transplant surgery….praise God, and the exceptional staff at Barnes-Jewish Hospital. He finished his rehab on Thursday, and had his 3rd bronchoscopy on Friday….he will have monthly follow up visits with his pulmonologist at KU Med Center–to include a chest x-ray, pulmonary function breathing test, and lab work–to monitor the anti-rejection drugs….all results to be forwarded to the Barnes pulmonologists group. But he will go back to Barnes for his 6 and 12-month bronchoscopy, doctor visit/x-ray/labwork/breathing test…..and then annually thereafter. He will be using a home spirometer for daily testing of his air volume, a blood pressure unit to monitor his BP, and must continue his daily 30 minute walks. The doctor has also cleared him to return to his job on September 19th—he’s so ready to get back living a normal life again. We are so grateful and thankful that he has been given the gift of a second chance in life. DAY 38 after surgery –Sunday….Well it has now been just over 5 weeks since Steve had his life-saving transplant surgery….he is doing and feeling great—-continuing his pulmonary rehab Monday thru Friday, walking a little faster and farther on the treadmill each day…and working to strengthen his arms and legs. He had his first post-discharge bronchoscopy, with positive results—doc said all looks normal…..and he has another doctor appointment this week, hoping to hear that he can start driving –which would be welcome news to me. 😉 We’re kind of in ‘countdown’ mode now, to when he will finish rehabbing and be released so we can head back home to KC! Other than the time we spend during the week at the hospital and trips to get groceries, we don’t do too much. We were invited over to Steve’s aunt and uncle’s for dinner on the 4th–that was really nice and a fun time. We have made some friends here, with other lung transplant recipients and spouses….it’s nice to compare notes and experiences with others in the same life situation. DAY 21 after surgery –Thursday p.m….Three weeks ago today!…Steve continues his daily rehab, now walking a little faster 30 minutes on the treadmill. Had his first Pulmonary Function Test, which was up to 64%–a great improvement over his pre-transplant reading!..and will continue to improve as he heals and gains strength. Also saw the doctor this week– doc said looking good, and removed his sutures from the drainage tube incisions…which meant he got to take his first real shower since surgery!–another step forward. We also enjoyed a short walk at a nearby park yesterday….the first of more to come! DAY 8 after surgery–Friday p.m….This morning, one of the respiratory therapists from Pulmonary Rehab brought a treadmill to Steve’s room—he walked 30 minutes with no supplemental oxygen at .5 mph….she was impressed! Later in the day, he also walked 1,000 feet with a physical therapist–no oxygen or walker…what a rock star! 🙂 We also enjoyed a visit from Steve’s dad….he hung out with us and also listened in during our pre-discharge education class to explain Steve’s prescription drug regimen, as well as what to expect after he leaves the hospital when weekdays for the next 11 weeks or so will be busy with pulmonary rehab daily, lab work, clinic appointments and xrays. …and the do’s and don’ts to remember in his new life as a transplant recipient. So very much to process and absorb! The transplant doctor said discharge day will be either Monday or Tuesday….we look forward to that and the next chapter in his journey! 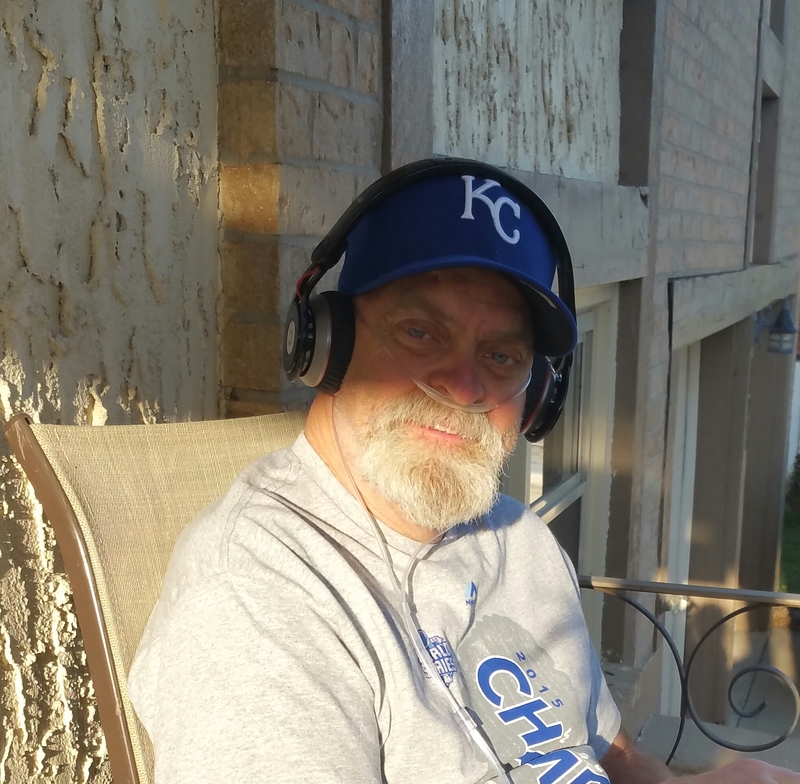 DAY 7 after surgery–Thursday p.m….Well one week ago today was a day we will remember forever—Steve had his transplant surgery and was given the gift of a second chance at life! And what a miraculous 7 day process this has been…he has progressed wonderfully. Because his oxygen levels have been so steadily good, they took him off of supplemental oxygen completely this morning–a very proud moment! Today also brought the removal of his 2 remaining drainage tubes from his chest, which he was so thrilled to be rid of—the removal process consisted of Steve being told to take a deep breath and hold, while the nurse practitioner gave the tube a swift yank. (Of course I could not watch) …and he said fortunately the first one she pulled from the right side didn’t hurt much, but then the second one she pulled on the left side ‘hurt like hell’ :/…but it’s a step in the right direction! He also got his epidural taken out (didn’t hurt at all he says).. so he’s to really pay more close attention to his pain now so they can medicate accordingly. DAY 6 after surgery –Wednesday p.m….Another low key day at the hospital …Steve continues improving—oxygen levels, blood pressure and heart rate…are all good—he walked 600 feet with the physical therapist this morning, and at that rate it won’t be long before he’s walking that 1,000 feet! The doctor said the drainage tubes may be able to come out tomorrow–something he is looking forward to, for sure. His sister, Cathy, drove out to see him today and we had a really nice visit. 🙂 It will be one week ago on Thursday that Steve got his gift of life…what a blessing! Added a couple more pictures to check out…. DAY 5 after surgery –Tuesday p.m….Steve is still progressing nicely…kind of an uneventful day….did his daily walk with the physical therapist (using a walker)–he walked 380 feet and is working his way toward the goal of walking 1,000 feet …where he will then advance to the treadmill. All part of the objectives he must meet before being deemed ready for discharge. He really kind of enjoys his walks, knowing they are a very important part of his progress. The doctor also said he should be able to have one of the two remaining draining tubes removed tomorrow — not a fun process, but definitely a step forward! After helping with his sponge bath, and watching the nurse change the dressing on his bandages (see pic)……another night ahead, sleeping in the hospital recliner next to Steve’s bed….he needs me here just as much I want to be here for him. ♡♡ We shall see what tomorrow brings…. DAY 4 after surgery–Monday morning. ..Steve was moved from the ICU Sunday afternoon.. To the step-down unit which is a large room with about 8 beds separated by curtains. His bed is in a great spot in the corner by the windows with a nice view…I’ve added some pictures! And he finally got to eat some Jell-O and some broth so that made him (and me) happy! Plus I brought his hat in from the car so he can wear it …so he feels more like himself now :). Visiting hour rules are different in this section so I could not stay by his side all night.. Which was probably a blessing in disguise because I was in great need of having a good night’s sleep in an actual bed. …So that felt pretty good! I will be heading back to the hospital soon. Steve actually just told me that his doctor came in this morning and said he’s doing so well that he may be moved to a private room later today! Update coming on that note as soon as we have more details…. DAY 3 after surgery –10 a.m. Sunday…Today should be a much better day than yesterday! Steve had a much more restful night…his pain is better managed now with the help of the epidural…the tube through the nose has done its job, so the doctors said it could be removed :)–he’s happy about that!…heart rate and blood pressure now in acceptable ranges, but still being monitored and medicated…he will soon take his second walk with the physical therapist and if all goes well, as they think it should, he will be moved from ICU to the step-down unit for less extensive but still continuous monitoring for a few more days, before he will be ready for a private room. He is progressing nicely and staying strong–quite the trooper…doing his breathing exercises that help him to expand his lungs, and clear the airways by encouraging a good productive cough. DAY 2 after surgery –8:30 p.m….Well Things didn’t go quite as planned today… during Steve’s assisted walk, which he did very well, his heart rate rose to 206 and his blood pressure dropped… a condition they called Atrial Fibrillation, which they also assured us was very common in transplant patients, caused by the heart getting ‘irritable’ after having to be moved during the transplant surgery. To get the heart back to its more normal rhythm the doctor did a procedure called Electrical Cardioversion, after again sedating Steve….and medicating for the low blood pressure….he also got an epidural to help manage his pain. So from the tube thru his nose this morning, multiple xrays, the walk, to the heart issues…the doctors decided it best that he remain in ICU tonight. DAY 2 after surgery–10:30 a.m. Saturday….Today will bring Steve’s first assisted walk down the hall and a move out of ICU to what they call the ‘step down unit’…this is good, it should be quieter yet he will still have two nurses attending to him. One little bump, however, is they’ve determined he still has an air bubble in his tummy that hasn’t made its way out yet after waking from the anesthesia….so…still no food, very little water, and they put a tube thru his nose to his stomach to suction the air out…this process they say takes usually a couple days–which means he still waits to be able to eat. :/ But he will feel better after the process is complete. I’ve added a few more pics. And to my friends who keep asking about how I’m doing…I so appreciate your concern for me 🙂 …I will say that much to my disappointment, the recliner chair was not comfortable but I managed to get 4-5 interrupted hours of sleep, I think. I did take time to get a shower last night here at the hospital, which felt great. Sometime today I will check in to the short-term stay duplex I’ll call home at least while he is in the hospital. Soon he was able to get sips of water…but unfortunately, as starving as he’s also feeling…he heard he’d have to wait until tomorrow for any food. Friday..10 a.m…Day 1 after surgery…Steve is still sleeping in ICU…soon they will do a bronchoscopy to look at his airway and see how the lungs are doing….The first step toward removing the breathing tube so he can take his first breaths with his new lungs! I’m hoping to be there to capture the moment…this is so incredible. I’ve added a few more photos today. Steve got ‘the call’ we’ve been praying for at 8 a.m. this morning…his gift of life…matched lungs avaliable for him!! We are driving to St Louis right now…surgery sometime this afternoon! What a relief for him..and us. ..to have him finally have something to get excited about…to be able to breathe again and get back to living life again! He is so calm and ready as he drives us to Barnes-Jewish Hospital…I’m the one with the nervous anxious feeling. Thanks so much to everyone that has been praying for him…God does answer! Less than two weeks on the waiting list…what a blessing! Great news update on Steve! We were at Barnes-Jewish Hospital this past Monday and Tuesday for Steve’s follow up appointments…He got the good news that the transplant team was ready to list him but we were told it would be 5 to 10 business days while waiting for the insurance company’s final approval. Well Steve got a surprise phone call today from the insurance company telling him he was approved! He will go active on the waiting list tomorrow! According to what his pulmonologist told him the maximum wait for his new lungs should be about 12 weeks….So it’s time to get our bag packed and stay glued to our phones. It’s so hard to know how to be ready for something that has no scheduled date. It’s exciting and scary at the same time, knowing that I have to quit my job to be Steve’s full support person and caregiver for at least three months after his surgery.. but I wouldn’t have it any other way. Steve necesita un trasplante Double-Lung! Steve Mowrey es sólo 53 años y luchando por su vida. Hace tres años, él fue diagnosticado con una forma progresiva de la fibrosis pulmonar, una condición que causa cicatrización en los pulmones y por lo general se desarrolla sin una causa identificable. Los síntomas incluyen dificultad para respirar, tos y muchos pacientes a menudo necesitan un trasplante de pulmón a lo largo del tiempo. Condición de Steve ha progresado a lo largo de los años y ahora él utiliza todo el día oxígeno para respirar y su neumólogo ha indicado que necesita desesperadamente un trasplante de pulmón salvavidas para sobrevivir. Steve ha encontrado su calidad de vida es completamente tomados como rehenes por la progresiva y potencialmente mortal de la naturaleza de su enfermedad pulmonar. Siendo un no-fumador y diagnostica totalmente desprevenido, Steve está frustrado pero ansiosamente esperando a sus nuevos pulmones para que pueda disfrutar una vez más de su vida! Steve tiene una increíble determinación y sentido de optimismo, y pese a necesitar alrededor el reloj oxígeno suplementario y enfrentando fatiga severa, continúa trabajando en su trabajo mientras se espera un trasplante de pulmón. Después de haber sido sometidos a extensas pruebas y evaluación médica para ser aceptado como un candidato a trasplante en el Barnes Hospital Judío, Steve y su novia esperanza para su futuro. Él no quiere nada menos que para recuperar a los aventureros y amantes de la diversión. la vida que él ha conocido; asistir a las carreras de NASCAR, Royals juegos, disfrutar de conciertos de música country, viajes por carretera en su Harley Davidson, y pasar tiempo con su niño de once años de edad, hijo. Un trasplante de pulmón es salvar vidas, pero a menudo viene con un precio abultado creando una muy pesada carga financiera. Incluso con el seguro de salud, de Steve rostros muy elevados gastos de bolsillo que incluyen copagos y deducibles, lab honorarios, viajes y hospedaje, costosos gastos de traslado para al menos tres meses para estar más cerca de Barnes Hospital. Steve también enfrentan altos deducibles de seguros, cuidador honorarios, post-trasplante y costosos medicamentos para detener el rechazo que se necesitan para el resto de su vida. Para ayudar con la carga financiera de los gastos no asegurados de Steve, una campaña de recaudación de fondos en su honor ha sido establecido con HelpHOPELive confianza, una organización sin fines de lucro que ha estado proporcionando orientación recaudación de fondos comunitarios para los pacientes y sus familias durante más de 30 años. Todas las donaciones son deducibles de impuestos, están ocupados por HelpHOPELive en el Medio Oeste/oeste Fondo de trasplante de pulmón, y son administrados por HelpHOPELive para gastos relacionados con el trasplante. Por favor, considere la posibilidad de una contribución. si todos trabajamos juntos podemos hacer Steve’s las perspectivas para el futuro mucho más brillante. Por favor, sé que vuestra contribución recuentos. Gracias de antemano por sus oraciones, ayuda y generosidad. Steve cần ghép đôi-Lung! Steve Mowrey là chỉ 53 tuổi và chiến đấu cho cuộc sống của mình. Ba năm trước đây, Steve được chẩn đoán với một hình thức tiến bộ của xơ hóa phổi, một điều kiện gây ra sẹo trong phổi và thường phát triển mà không có một nguyên nhân nhận dạng. Triệu chứng bao gồm khó thở, ho và nhiều bệnh nhân thường cần một phổi ghép theo thời gian. Điều kiện của Steve đã tiến triển trong những năm qua…ông bây giờ sử dụng nhờ oxy để thở và nhà của ông đã chỉ ra rằng ông tuyệt vọng cần một cấy ghép cứu phổi để tồn tại. Steve đã tìm thấy ông làm con tin chất lượng cuộc sống hoàn toàn thực hiện tiến bộ và đe dọa cuộc sống bản chất của tình trạng phổi của mình. Là Phòng Không hút thuốc và chẩn đoán hoàn toàn off guard, Steve là thất vọng nhưng lo âu mong mình phổi mới do đó, ông một lần nữa có thể tận hưởng cuộc sống của mình! Steve có một cảm giác lạ thường của quyết tâm và sự lạc quan, và mặc dù cần nhờ bổ sung ôxy và đối mặt với sự mệt mỏi trầm trọng, ông tiếp tục làm việc tại công việc của mình trong khi chờ đợi một ghép phổi. Sau khi trải qua kiểm tra y tế sâu rộng và đánh giá để được chấp nhận như là một ứng cử viên ghép tại bệnh viện Do Thái Barnes, Steve và bạn gái của mình là hy vọng cho tương lai của mình. Ông muốn gì ít hơn để lấy lại sự phiêu lưu, vui vẻ, yêu thương cuộc đời ông đã biết đến; tham dự cuộc đua NASCAR, Royals trò chơi, thưởng thức buổi hòa nhạc quốc gia âm nhạc, chuyến đi đường trên Harley Davidson, và dành thời gian với mười một tuổi, con trai của mình. Một cấy ghép phổi là cứu, nhưng thường đi kèm với một thẻ giá nhượng, tạo ra một gánh nặng tài chính rất nặng. Ngay cả với bảo hiểm y tế, Steve khuôn mặt rất cao chi phí out-of-pocket bao gồm đồng pays và khấu trừ, phí phòng thí nghiệm, du lịch và nhà nghỉ, và tái định cư tốn kém chi phí ít nhất 3 tháng để gần gũi hơn với bệnh viện Barnes. Steve cũng sẽ phải đối mặt tiền khấu trừ bảo hiểm cao, chi phí chăm sóc, và tốn kém sau ghép thuốc để ngăn chặn từ chối là cần thiết cho phần còn lại của cuộc sống của mình. Để giúp với gánh nặng tài chính chi phí bảo hiểm của Steve, một chiến dịch gây quỹ để vinh danh ông đã được thành lập với HelpHOPELive, một tổ chức phi lợi nhuận đáng tin cậy đã cung cấp hướng dẫn dựa trên cộng đồng gây quỹ cho bệnh nhân và gia đình của họ trong hơn 30 năm. Mọi đóng góp là khấu trừ thuế, được tổ chức bởi HelpHOPELive ở Midwest/Tây phổi ghép quỹ và được quản lý bởi HelpHOPELive cho các khoản chi phí liên quan đến cấy chỉ. Hãy xem xét việc đóng góp. Để đóng góp thẻ tín dụng, xin vui lòng gọi 800.642.8399. Steve is looking great! You can already tell a HUGE difference in his color! We're praying hard for him! I hope Steve is the one that got Kyles lungs! Patiently waiting! Keep up the good work Steve! So happy to hear about Steve's progress. It's been wonderful getting to know you at Barnes this week. Praying for you both! PS, I am so happy to hear the good news and will be praying for a speedy recovery! Hope to hear back from you asap! I have already heard the good news that the breathing tube is out. So happy to hear! Breathe that fresh air baby! Still praying! Sending warm thoughts and every hope for a full recovery from your surgery. Onward to a brand new life! im praying and thinking of you brother. Hang in there and i plan to see u next weekend. Emily and I are thinking of you all the way from Qatar. Get well, Steve!